Before buying a new car, you probably take it out for a test drive to see how it feels and make sure that everything is working properly. 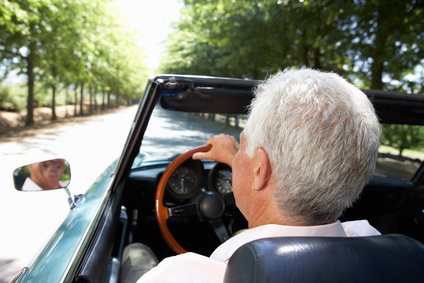 Have you ever thought of taking a similar “test drive” when it comes to your retirement? 1. Try to live on your retirement budget. Many people anticipate that they will be able to live on less money after they retire. This is due to the fact that they will no longer have any expenses associated with working (like commuting, professional clothing for work, eating out everyday for lunch, etc.) and that their children will probably be out of the house and perhaps graduated from college. “Go ahead and put your retirement budget in place a few years before your actual retirement,” Walcoe recommends. “This way, you can see how realistic the budget is and make any necessary adjustments before you actually enter retirement.” These adjustments might include working a little longer before you retire, if necessary, in order to build up your retirement nest egg a little more. Downsizing is a part of many people’s retirement plans. This applies not just to their home, but to their entire lifestyle — cars, entertainment, etc. Doing so will help reduce living expenses (see budget suggestions above) and simplify life in general. While it might not be practical to move into a smaller temporary home before you retire, you can start cleaning out the clutter in your existing home to get you ready for your eventual move. You can also start adjusting to a more downsized mindset — living on a little bit smaller scale overall. 3. Dip your toe into extracurricular activities. Some people enter retirement with very little idea of how they’re going to spend all their free time. Maybe they spent their entire working lives looking forward to the time when they would no longer have to work — but when this time comes, they quickly become bored and restless. 4. Get to know your new geography. If you think you want to relocate when you retire, start spending as much time in your new location as you can a few years before retirement. This will give you a better feel for the area and confirm whether you truly want to make the move or not. For example, some people in the north say they want to retire in Florida, but haven’t actually spent much time there. After spending a couple of months in the Sunshine State, some people decide they don’t really care for the heat and humidity and would rather find a more temperate climate.